If I had to make a list of beauty things I'm bad at, then applying body moisturiser would be one of them. I think often I just don't want to wait for what feels like ages for the moisturiser to absorb. 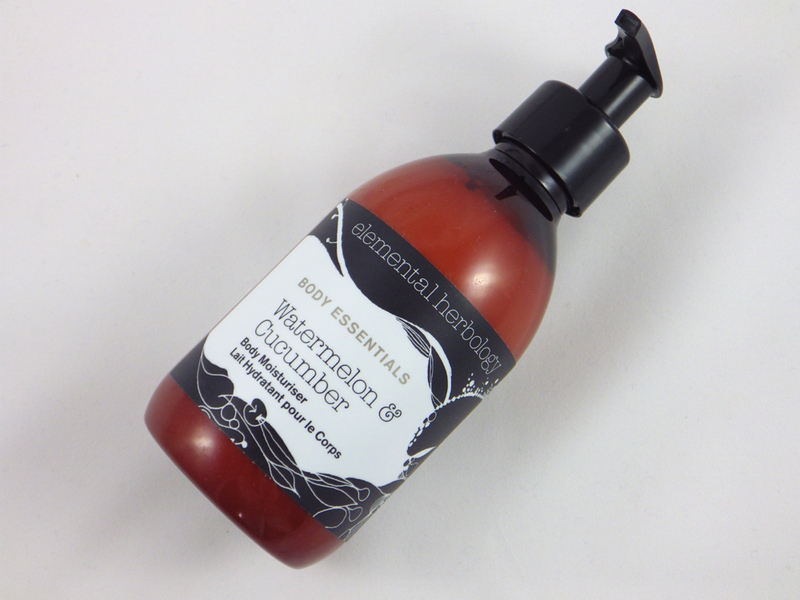 Here steps in the perfect solution: the Elemental Herbology Watermelon and Cucumber Body Moisturiser. Elemental Herbology say, "This high performance body moisturiser helps optimise the life of your tan whilst soothing and cooling the skin. Light and non-greasy, it contains cooling and nourishing botanicals and is ideal for the summer months". Organic Aloe Vera and Organic Cucumber Juice Extract soothe and cool the skin. Kakadu Plum Extract rich in Vitamin C helps to provide protection against oxidation. Organic Shea Butter and Mango Butter moisturise and nourish. Argan and Macadamia Oil rich in essential fatty acids help to repair the skin. Ubuntu Mongongo and Kalahari Melon provide a light but nourishing blend of oils to improve the texture of the skin. This moisturiser doesn't really smell like cucumber and/or watermelon at all to me, I can't place the scent but it's quite fresh and zingy. It's definitely one to apply in the daytime rather before bed. The formula itself is a medium consistency yet quite light and absorbs very quickly without leaving any oily or tacky residue. I agree that it's ideal for summer; I used it when I caught the sun on my shoulders and it did soothe and cool my skin as promised. It also left it feeling soft and hydrated. In terms of optimising a tan, I am super pale and I don't tan much; my version of getting a tan is normally just being a slightly darker shade of white! However the bit of colour I do have right now does seem to be staying despite me being in a windowless office 8 hours a day, 5 days a week. So I will give some credit to Elemental Herbology for that! If you're looking for a body moisturiser and a product to prolong a tan, then the multi-tasking Elemental Herbology Watermelon and Cucumber Body Moisturiser is for you. 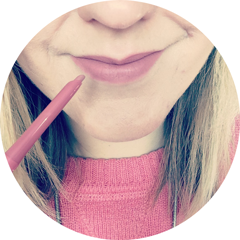 I think the quality of the product, the fact that it delivers on its promises and contains a large amount of natural ingredients makes it worth the £21.00 price tag. To view the product on the Elemental Herbology website, please click here. What's your favourite body moisturiser for summer? Have you tried the Elemental Herbology Watermelon and Cucumber Body Moisturiser before? I hate moisturising!! I even gave that Nivea in shower one a whirl haha. This one sounds delicious and I'm intrigued to know what it smells like. I always lose my tan with 2 weeks so if it helps maintain it, it's well worth the money. I purchased this exact one :) I love the product but I did contact HE about it not smelling nothing like Cucumber/Watermelon! I must admit the lack of scent put me off it a bit :( but it does do a great job! WOw that looks really lovely, have to try it! I'm currently using Monsia skin renewal system, it's great, it makes my skin so soft. I like the look of this. Moisturising can be so boring but if its a bit expensive I think of it more as a treat than anything!